Academicals qualification should have Graduation degree/HSC/SSC or 8th class completed. Computer posts related candidates must be 20 word typing speed for Bangla and English language. Candidates of Data Entry Operating posts must be participate Standard aptitude Test. Interested applicants can apply collecting application form. Application form will be available below attached file. Candidates should be submit taka 100/- or 50/- as application fee via treasury chalan from any branch of Bangladesh Bank or Sonali Bank. Applicants send their application along with 03 copy passport size photographs and original copy of treasury chalan form. No need to send others document. 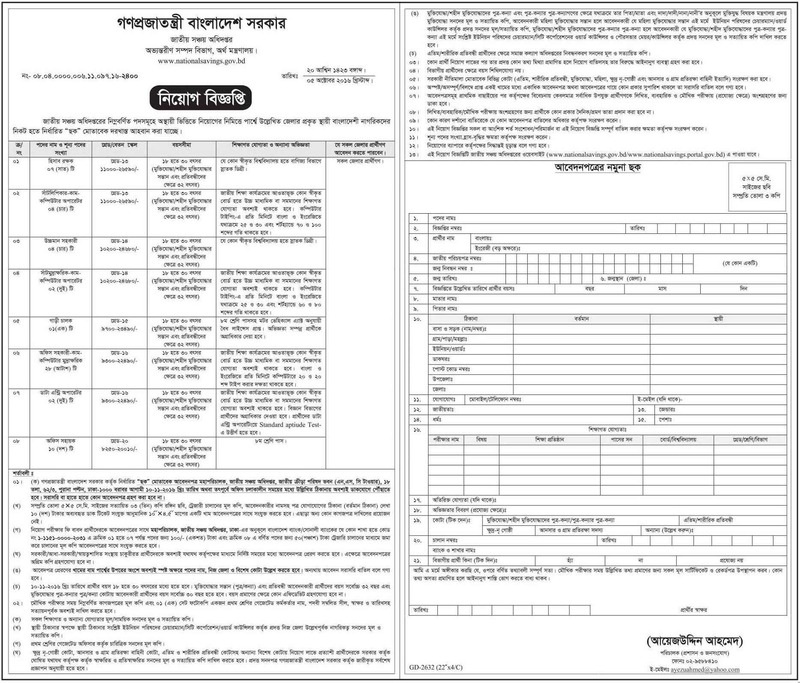 Application should be reached to "the Director General, Department of National Savings, National Sports Council Building (NSC Tower), 18th Floor, 62/3, Porana Polton, Dhaka-100" before 10 November 2016. Details infromation is given below.